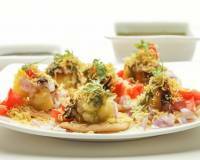 Chatpata, flavorful, tangy, spicy green chutney aloo chaat is a popular street food in North India. 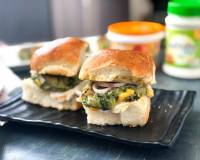 So easy and simple to make at home you can serve these as a yummy snack to go with your tea or at your next chaat party. 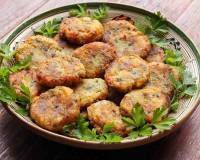 Green Chutney Aloo Chaat Recipe is a popular street food from North India. 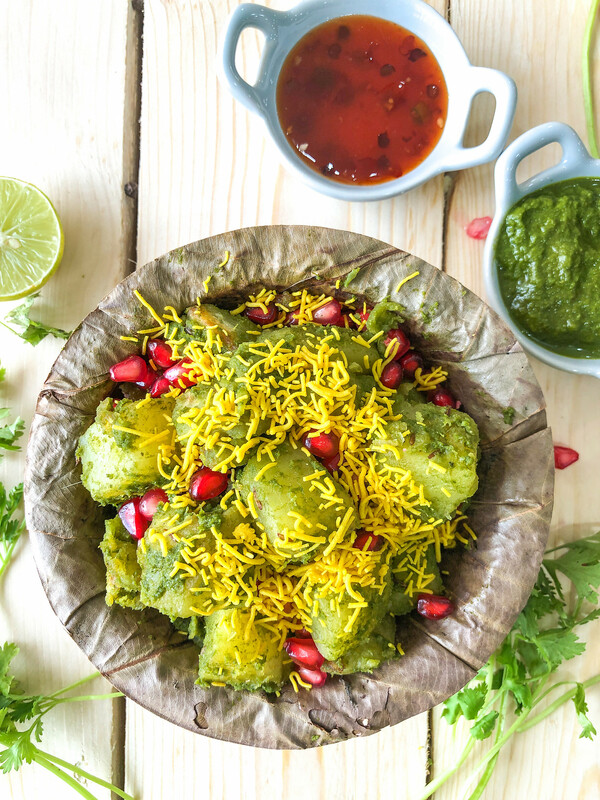 The potatoes are boiled and then pan fried to get a nice colour and crunch on the outside, mixed with spices like garam masala and cumin powder, and then tossed in a yummy fresh green chutney and garnished with crunchy sweet pomegranate and sev. 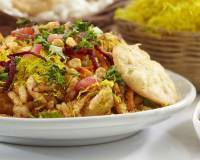 This is a no onion no garlic chaat recipe which can be had even when your fasting. 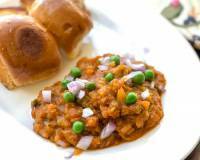 Aloo is full of nutrition, it has Vitamin B & C, fiber and folate and carbohydrates and is a great food to be included inn your and your kids diet. Serve Aloo chaat along with Rajma Cutlet (Kidney Beans Patties), Dahi Bhalla Papdi Chaat and Masala Soda Shikanji for your next chaat party. To begin making Green Chutney Aloo Chaat Recipe wash and put the potatoes in a pressure cooker with enough water and close the lid. Place the pressure cooker on heat and pressure cook the potatoes for three whistles. Turn off the heat and let the pressure release naturally. After the pressure in released discard the water and let the potatoes cool. Once cool peel the potatoes and chop the potatoes into equal bite size and keep them aside. While we are waiting for the potatoes to cool, we will make the green chutney. 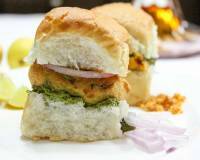 Add all the ingredients listed under *For green chutney* - the coriander leaves, mint leaves, ginger,green chillies, salt, sugar, lemon and peanuts to a mixer grinder, add little water and grind the green chutney until smooth. Now we will pan fry the aloo. Preheat a pan and add little oil. Once the oil is hot add cumin seeds and let it splutter. After the cumin seeds have spluttered add the potatoes and saute. Add salt to taste and stir fry potatoes till they evenly turn light golden brown on the outside. Add cumin powder, garam masala powder and stir well to combine. Turn off the heat. Once the potatoes have cooled a bit mix the green chutney with the aloo and combine to coat all the aloo pieces well with the green chutney. Sprinkle chaat masala and combine. 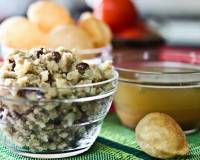 Remove the green chutney aloo chaat into serving bowls. Garnish with pomegranate kernels and sev and serve. You can add a dash of lemon juice to the Green Chutney aloo Chaat if you like.